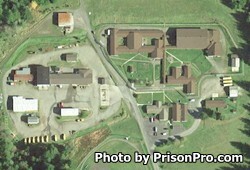 Olympic Corrections Center is a minimum custody prison located in Forks Washington. The facility opened in 1968 and has the capacity to house 381 male inmates. The prison is comprised of three units, HOH, Clearwater, and Ozette. Offenders at the Olympic Corrections Center can join community service crews that provide a labor force for various community based projects in and around Forks. Olympic Corrections Center offers vocational training in horticulture, carpentry, electrical, water treatment, composting and fire suppression. Inmates can be selected to work jobs within the institution in food preparation and service, a woods product shop, and in custodial and building maintenance. Additional programs for offenders includes stress/anger management, victim awareness, adult basic education and GED. Visits at Olympic Corrections Center occur on Saturdays, Sundays and State recognized Holidays from 9:30am-2:30pm. Inmates located in secured housing have visits by appointment only. For more information read the Olympic Corrections Center Visitors Guidebook here.